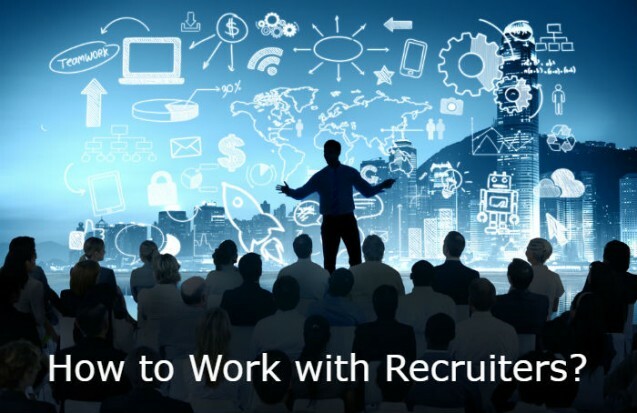 A detailed advise on how candidates can work well with executive recruiters. You came across a recruiter and handed in your cv with them, but now they’re not answering your e-mails. Maybe your background is perfect but you do not make it past the phone screen. How is it that you’re “a bad fit” whilst you are so evidently ideal for the position? JRG Partners talked with several recruitment consultants, and also job seekers, to know more info on the nitty grits of the procedure of dealing with a recruiter. We’ve come up with a checklist of points that may allow you to discover the issues and resolve them. Job hunters often see recruiters as an unpleasant requisite in the job hunt process, considering them as the people who don’t react and don’t really recognize exactly what hiring companies require. It turns out that various candidates have misunderstandings about the basic role of a recruiter. “They do not understand that we really don’t work for them,” said Tanya, a headhunter at JRG Group in Boca Raton, Florida. “We work for the client” — the employing company. Here are some common scenarios in which job seekers can find themselves in. We verified with hiring consultants at our end to find out what is going on. 1. 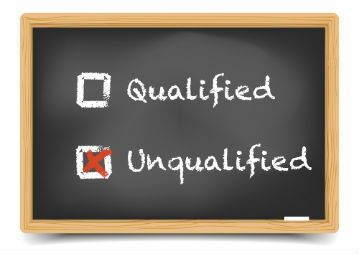 You’re not qualified for the job. 2. You’re a very good fit, however, not an ideal fit. “3rd party recruiting companies receive a lot of money to find individuals that a corporation looking for staff can’t themselves,” according to Tanya G, manager of sales, efficiency and performance at JRG Partners. “And between 20 to 30 % fee being paid to the recruiter, corporations need to make sure that they employ the exact right individual.” In many cases, almost perfect isn’t good enough, especially nowadays that recruiters are able to pull from a significant applicant pool. 3. Your recruiter — and/or hiring company — is not efficiently communicating the job specifications. Occasionally recruiters aren’t able effectively to communicate what their client wants, due to their own limitations or their customer’s insufficient specificity. The bigger the firm, the higher red tape there is, states Tanya G.
4. Your email headline may be delaying the process. An Effective subject line in an email should reference the position you’re trying to get, as against a “Hello” or “Intro,” Tanya says. When a recruiter is working through 100s of e-mails per day, it makes his/her life simpler if he or she receives a clue about the contents of the email message. 5. Your resume may not be expressing your narrative at a glance. With so little time to spend on every resume, try to make it easy for recruiters to locate what they’re seeking: your previous employer and position, your tenure there, and the three best highlighting points based on the job you’re applying for. If a quick examination does not deliver an engaging narrative, Tanya says it’s likely that your job application won’t make it beyond the inbox. 6. Misspellings of any sort turn away some recruiters. Typing mistakes may leave an impression that you do not pay attention to details. Thoroughly double check or even triple check your application and resume. Better still, have someone with an eye for detail proof it. Turn to technology and try using a tool like Grammarly to proofread your resume and cover letter before submitting it. 7. A general application letter could be your undoing. Recruiters might assume the deficiency of uniqueness as sluggish and/or uncaring, Tanya says. Modify each letter towards the particular company, sector and position to which you’re applying. 8. Misusing superlatives may be getting in your way. What should you do? Not much if you’re not qualified, but applying to get a specific job and making sure that you’ve dotted all your “I’s” and customized your resume cover letter will at least ensure that you’re getting the focus you are entitled to. Example Two: You didn’t make it past the recruiter’s phone screener. 9. 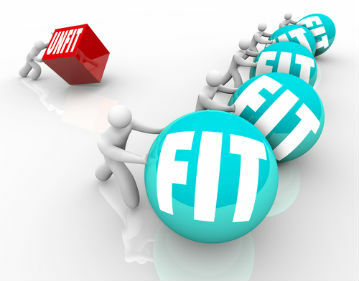 Your basic attitude may be a mismatch with the hiring firm. For example, your professional yet serious demeanor does not work in a position wherein a feeling of lightness and humor is considered a priority for managers, said Tanya G, a staffing specialist at the JRG Partners group in Florida. Don’t take it personally. The longer a recruiter has worked with the hiring company, the better he is able to evaluate your candidacy. 10. You did not listen to the questions. What can you do? Try following up with the recruiter to ask her why you’re not an ideal fit. He/She should certainly provide a tangible reason. If he/she does that — and if you trust his/her assessment — let him/her know you would like to get considered for future positions. Example Three: You met the recruiter in person, however now he/she does not think you’re ideal for the job position. 11. Your work style might not be suited to the position. For instance, the recruiter may decide that you flourish in organized work settings, but the hiring firm requires someone who functions best in an unorganized environment. Yet again, recruiters who have placed candidates with the hiring company have a very good sense of who would be successful there. It’s well within an applicant’s rights to inquire about how long the recruiter has worked with a particular firm, said Tanya. 12. 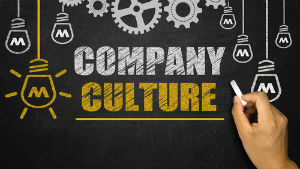 Your personality may not be a match for certain firm’s or department’s culture. 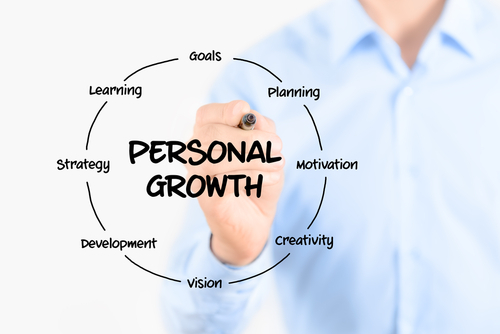 For example, you could think your ambition and assertive personality could only be an asset, however, it may indicate likely issues at some organizations. “If a candidate has career ambitions and I pick up that they may not have perseverance before they see growth or will undoubtedly be badgering HR in terms of advancement, then, they might not be right for certain companies,” Tanya said, adding that smaller organizations are generally more focused on personality than large ones. What can you do? Talk to your recruiter and identify precisely why you are no longer in the running. Obtain as much info as possible and ask if there is anything concerning your particular abilities that you could develop. Example Four: The recruiter is vague about why the employing company does not wish to proceed with your application. 13. He/She does not have full information. 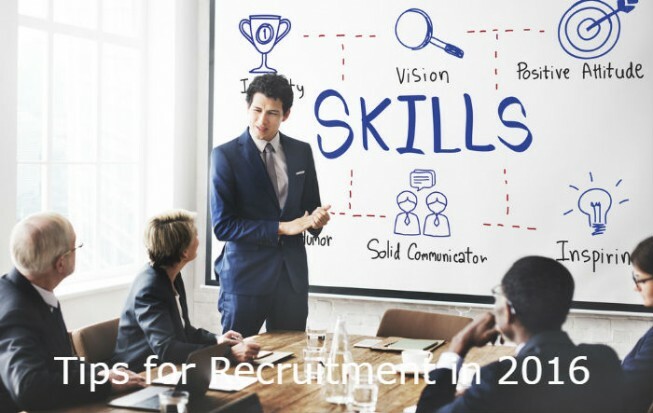 Recruiters agree that at each and every point through the application, the recruiter should report particular grounds on why he / she (or the hiring firm) doesn’t consider that you’re a suitable applicant for the job. However, recruiters don’t always have that information if the engaging firm is reticent to disclose it for professional or other grounds, said Tanya. 14. He/She is reluctant to discuss regarding personal eccentricities. If the hiring company is troubled by the insufficient personal hygiene, as an example, the recruitment agency may keep back the details if she believes it is not constructive. What can you do? Strike a friendly tone when probing for details. Help the recruiter understand that you value his feedback and would appreciate any information he’s able to supply. You must have played the game of chess or risk once in a while when you were young. What is it that’s common in these games? They are strategy games which require one to utilize your ‘on the feet’ thinking skills and help you analyze your strengths and weaknesses. They also help us predict and use foresight to analyze and evaluate an opponent’s possible future moves in order to help one win the game. The reason we give an example of a strategy game is because an interview is almost like a strategy game wherein you will need to analyze and predict questions that may be asked by the interviewer(s). A good interviewer will tell you that every successful candidate should come prepared within an interview. The candidate should have a strategy in mind and should be witty enough to quickly think on his feet and come up with straight answers to rather tricky questions that may be thrown to him/her during the course of an interview. Since all hiring managers have a common goal in mind: to hire the best candidate for the position. Thus, in order to achieve this, they use a process of evaluating and eliminating people with carefully selected questions. At a glance, this seems to be quite a straightforward and easy question to answer. However, the reason behind asking this question is pretty brilliant. You are intentionally being asked this question so that you can go off balance. If you have not already noticed, the question is actually in two parts. What are your strengths? 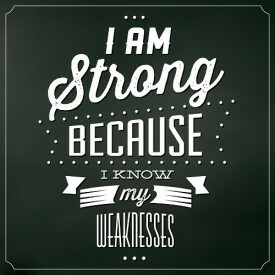 and, what are your weaknesses? If like others, you feel uncomfortable answering these questions, don’t worry, we have you covered and will assist you in turning this stumbling block into an opportunity which you can use as a launching pad to get the job at hand. 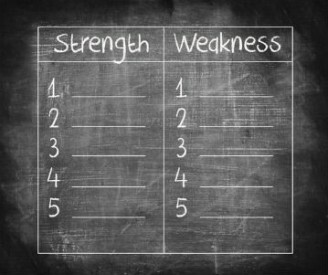 Although this article covers tips on answering the question: what are your strengths? before we begin, let’s take some time to answering the weaknesses question. 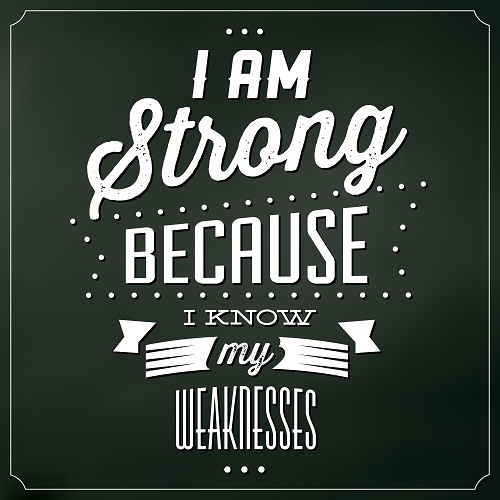 As these two questions can go hand-in-hand, many hiring managers would want to try and understand your weaknesses as well. As a matter of fact, hiring managers generally ask both these questions separately within an interview for an executive level job. Ideally, one should prepare separately for each of these questions because each of them needs to be handled differently (as they have different characteristics). However, since these two questions are connected to each other, you need to ensure that you prepare for both. Let’s focus on your strengths first as I will be addressing the question: what are your weaknesses in an article at a later date. Without further delay, let us drill into the first question about your strengths! One needs to ensure that he/she is presenting oneself in the best possible way when you are sitting across a hiring manager within an interview. 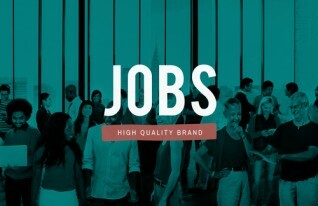 You need to ensure that they consider you as one of the best candidates and hiring you will completely satisfy their hiring needs for the job in question. So, exactly how do you accomplish that when you are faced with a question which is specially designed to throw you off balance? By being well prepared and ready with an answer beforehand! Making preparations to answer this question before the interview and keeping several possible answers at hand, you will be in a good position to provide an answer within the interview. An answer that covers the question in general and helps you appear well prepared, polished and confident. If on the other hand, you are unprepared for this question “Let me know about your greatest strengths”, and try to come up with an answer well within the interview, your may get confused and may be faced with a roadblock. Many people who do not prepare for this question and are already pretty nervous due to the interview process, end up fanatically looking for an answer well within the interview.. and, finally when they come up with an answer, it’s mostly the first thing that comes to their mind and nine out of ten times the wrong answer to give. Although these are abilities you can boast about with your friends, an answer like this is not suitable unless you want to become a pro baseball player. the answer is both irrelevant for the job interview and allows the interviewer understand that you are not prepared for the job and lack the skills required and the ability to think on the feet. Instead of aggressive boasting, one should consider being a little more elaborate and less aggressive. The idea is to convey your strength in a manner which is pleasing and assertive. You do not use so many adjectives to describe yourself. Hiring managers want to listen to two or three.. or maybe four at the most. consider only the most important and relevant strengths that should be highlighted. Definitely, an interviewer is interested in wanting to know you better. However, an interview is not the place to answer this question with an all about yourself answer. The above statement is usually presented as a strength. 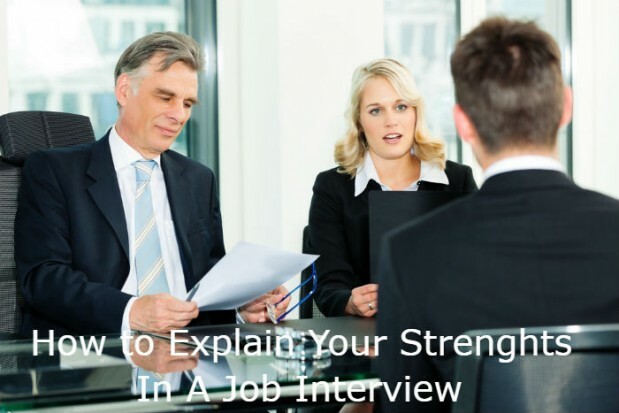 As a job seeker, you may be tempted to use this as a strength within the interview. However, it’s actually a weakness! By telling an interviewer the above statement, you are conveying your lack of introspection. You may also be perceived to be boasting and trying to pull a fast one. Do your research in advance! One of the best ways to answer the strengths question is to make an assumption that it will definitely be asked when preparing for the interview. Do your homework and be prepared in advance. Use your research skills and dig into details of the company and the job you will get interviewed for. Firstly, research the company, find out what they value in terms of qualities and strengths. Secondly, read through the job description looking for traits and skill sets that may be needed in successfully carrying out duties within the job. Match the skills and abilities of the firm and the job with your own abilities and come up with a set of 2 or 3 such strengths that will help you in working with the employer. Now, take these identified strengths and put together an answer and ensure that you substantiate your strengths with examples drawn from your previous employment supporting your claim of strengths. Ensure that your answer is truthful, relevant to the company and the job you are applying for. Your most important goal should be to provide reassurance to the employer about your candidature and ability to handle the job in question. Just ensure that your answer addresses their concern about your ability to handle the job well and that you are the best-fit candidate. You possess the skills and the experience which will help you become an integral part of their team and set you apart from other candidates. And finally, if you are still running out of ideas and can’t come up with something good, ask your colleagues what they believe your strengths are. You could be surprised by what they may say and not realize something you ignore or do without thinking is actually a valuable strength! You’ve got the call from an employer. They have invited you in for the interview the following day. You’re ideal for the position. All you have to do is to show them your worthiness. 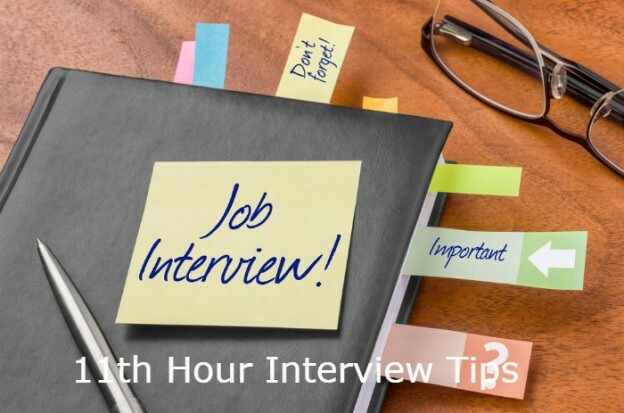 Be it eleventh-hour interview calls or because interviews are pretty intimidating and, you happen to be postponing prepping for the big day because of nerves, then, there is a need for last minute interview preparation. We’ve put together a list of last-minute interview prep guidelines, whether your interview is the next day — or two hours from now. To assist, here are 7 actions you must take right now, if you haven’t already, that may dramatically increase the possibility of succeeding for the position. Google the firm, check out the website, visit LinkedIn for other company employee profiles. Find out whatever you can about the things they do, work procedures, and who are their major customers. Make notes and consider how you will talk about what you have discovered. Research the position you hope to get. Decide how to talk about precisely what you will deliver to the specific role for the specific needs of the company. Once you know who you are interviewing with, check out their LinkedIn profiles and learn regarding them also. This is a thing you will be able to find via Glassdoor. Do you know someone who works there? In case you’re not sure, ask around on your Twitter Account. You may want to ask the following: Do they like to work there? Would it be relaxed and fun? Can they watch baseball together in the canteen? What do they wear? An employee’s match with the company’s culture is among the most important concerns for hiring managers. Thus, once you know what it is like, ascertain how you’re going to show that you fit. This may appear silly but you should do this today. After you know about the company’s culture you may manage to plan your look accordingly. Once one of my coworkers attended an interview in a formal wear, only to his surprise that everybody, especially the interviewer, was wearing jeans. “I realized I was not getting the job and they basically told me right then that I will not fit in,” she said. Irrespective, do not leave it to the last minute to decide what to wear. You might find out clothing you believed was clean is dirty, or it’s missing. The interviewer could have a few performance related questions for you, much like “let me know about a time wherein you resolved an issue or overcame a hurdle.” You don’t wish to draw a complete blank. So, prep your stories. Ensure each of them has a beginning, a middle, and an ending that conveys how awesome you are. At a given point, the interviewer is going to ask “Have you got any questions for me?” and one should not say no. It’s natural that if you are interested in the job you may have many questions. Not asking any questions will make it seem like you are not interested. The kind of questions you should ask should be focused on the business’s needs and the way you can contribute to meeting their goals. The questions should not be focused on your needs. Do not ask the amount of vacation time you will get. Google map your course and find out how long it takes to get there – and when it is time, allow an hour or so earlier then, when you get there, drink a coffee. Don’t head in and announce your arrival. Do not be behind schedule. Hiring managers hate it if you’re late. 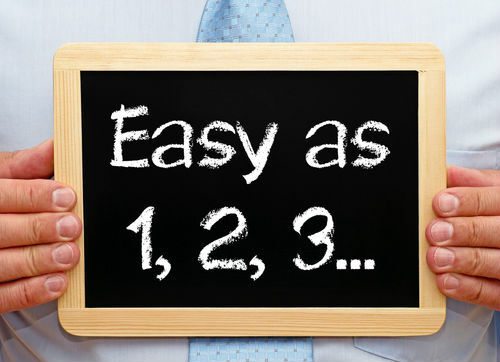 At its core, a good interview is really about making a favorable 1st impression. All that grooming professionally, arriving punctually, and coming equipped will not matter if you appear pompous and self-absorbed. Carry yourself with a confidence — your favorable, professional mindset won’t go unobserved. Bear in mind, if you think that the interview is heading southward, it isn’t going to hurt to request if it’s possible to reschedule. Be courteous and considerate of the huge favor you’re asking of your interviewer. In any case, the worst that might happen is you do not get the job. There is always going to be a next time. Infographic Resume – How and when to use one? 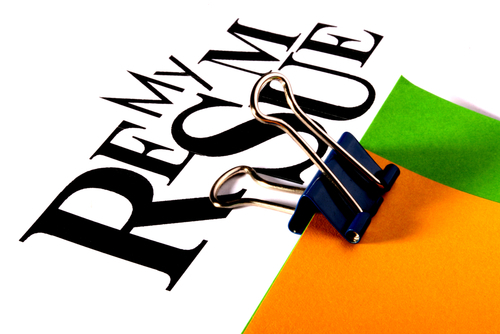 Is your resume languishing within a resume pile – or is it obtaining you interview calls and job offers? In case your resume is consistently being ignored, perhaps an infographic resume may be what you want – to stand apart from a sea of generic applications. People love infographics mainly because our minds are configured in a way to react to visual storytelling. Graphics grab our attention. An excellent infographic makes use of graphics to share a story and inspire anyone to share that narrative with others. The magic of infographics may even make your cv more appealing, that will be just what you need to get noticed within an aggressive job scenario. Remember: a cv is a marketing communicate designed to engage the employing executive, get you the interview, and finally land you the job. 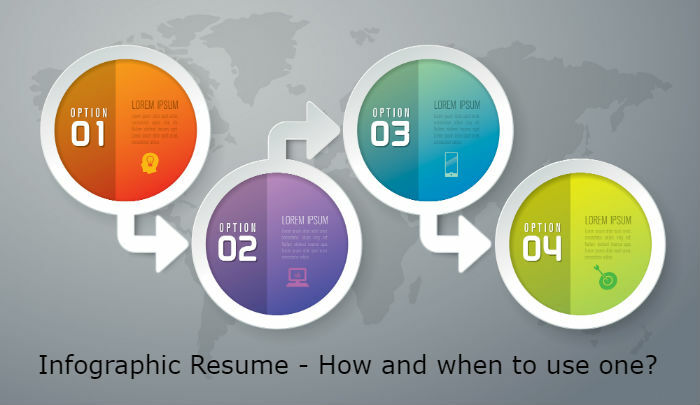 An infographic resume will help you obtain more favorable attention, however only if you know what you are doing. An infographic will take lots of text and figures and condense this information into a mix of pictures, charts and text, allowing the reader to quickly grasp essentials. Infographics utilize on the point that our brains are wired to respond to visual storytelling – and we find that if done well, infographic resumes can help thrust competent candidates along in the hiring procedure. Resumes have a particular layout. Normally, it is your name and contact info at the top, followed by a synopsis of the abilities, your job history, the education, and various other interesting information that may help for an employing manager to know. Whilst an infographic application does not fundamentally require to stick to this formatting, you nevertheless need to make these items of your cv to be very clearly visible. Additionally to presenting info in a concise way, you would like to be sure your resume tells a tale – a story that positions you as the right candidate for the job. Once you’ve got the structure ready, one of the most significant choices you may make is in regards to color. Most importantly, you don’t need to go crazy by using a whole gamut of colors—that could take away from the story and information you are striving to convey. help you get a job interview. Don’t let your quest for the ideal color scheme or graphics supersede your message. 5. Visually quantify your successes. In addition to demonstrating your creativity and character, infographic resumes should evidently visually display your professional accomplishments. Begin by identifying 3 to 4 important accomplishments which clearly inform your professional history and can be effortlessly translated into a powerful visual message. Infographic resumes should render your information less difficult to understand, not more difficult. 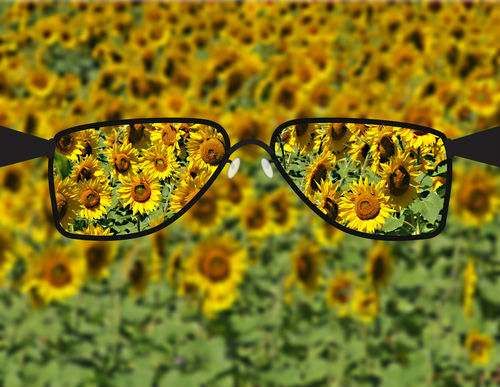 Conflicting colors and confusing graphs produce optical disorder that distracts from your achievements. Few of us are skilled graphical designers. If you’re going to make an infographic resume, consider working with a graphic designer or use one of the numerous complimentary online infographic resources. Although infographic resumes may not be right for everybody, they can be an efficient resource for visually quantifying your accomplishments and help you stand out from other candidates. Intelligent companies are taking note of an increasingly obvious employment tendency: as applicants drive today’s job market, large numbers of candidates are handling numerous offers. My function being a professional recruiter gave me a first-hand view of the shifting landscape of the job search. Continually, I realize that managers who are informed on the industry and competitive in their talent search are great top talent. Recruiters can be valuable business partners in your hiring strategy: we understand what motivates candidates on the market. Additionally, we are often mindful of other potential offers, and perhaps know what your competitors are bringing to the negotiation table. Utilize these industry observations to your advantage! Give your talent search an advantage with these 3 employing strategies. Effective interviewing will work for the company. Progressively, interviewers are interviewing quickly and making offers early. 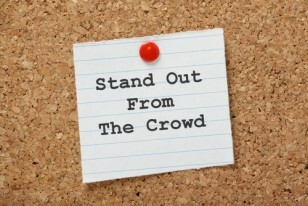 If you are really serious about hiring standout talent, streamline your interview techniques. Organizations who drag their feet, allow too much time elapse in between interviews and require several meetings before making an offer allow the competitors the advantage of time. On the other hand, when firms make employing decisions successfully, early offers may persuade applicants to strike a deal. You get what you spend for. This straightforward point may appear self-evident – but repeatedly, I see interviewers naively looking for excellent talent with unexceptional pay packages. When you find a candidate who is ideal for the role, you need to offer something that is head turning, not just competitive. In relation to excellent candidates, do not presume that your particular offer may be the only one on the table. 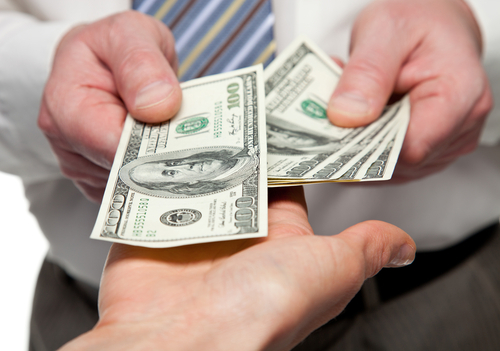 Consider whether investing more in the short term on base salary, incentives, or rewards and benefits might bring the company higher value over time. Progressively, candidates are prioritizing work-life balance and a favorable company culture. They won’t be dazzled by a fancy website and modern office lobby – they need to view how your firm’s ideals are genuinely mirrored in its community and professional environment. You require knowing why your firm is a fantastic place for working and echo that information in the employment brand. During the interview procedure, show candidates why your office has a beneficial, vibrant culture. 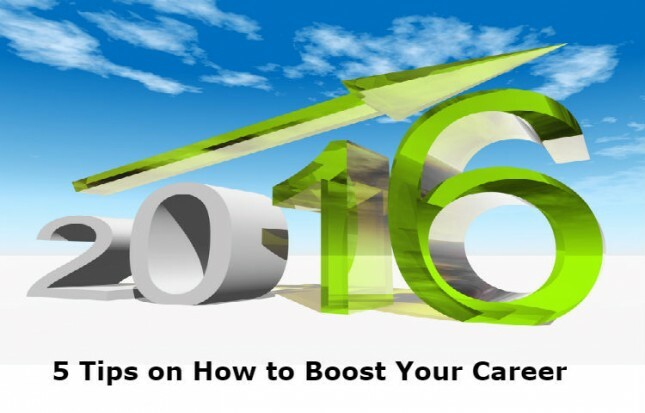 Describe benefits and opportunities for professional advancement. 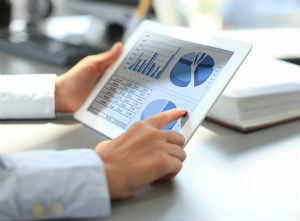 Assist the candidate view why he or she could be an excellent fit with your company. The present candidate-driven scenario can be a challenge to companies. The good thing, though, is that there’s so much great talent nowadays. Adjust your hiring strategies to reflect the times, and you will draw in the star performers and create the value of your workforce. We at JRG Partners house one of the most comprehensive and up-to-date US candidate database and can assist your firm in searching for the right talent with the right kind of skills. Get in touch with one of our recruitment consultants to further discuss your requirements. 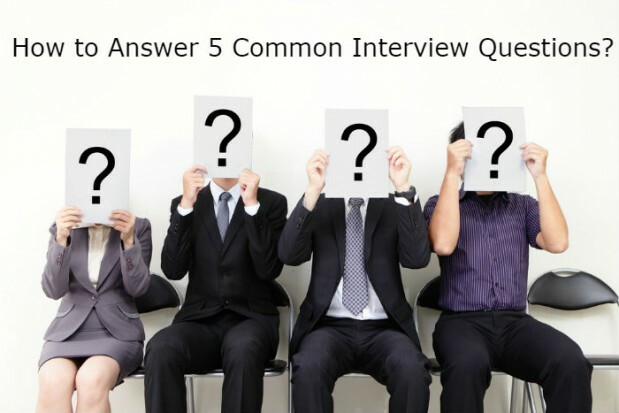 Virtually all interview questions asked by firms are built in the same manner. However, numerous job applicants fail to take advantage of this popular fact and organize upfront. We comprehend that no level of preparation will imitate the real moment where a panel of suited-up unknown people are eyeballing you dubiously. However, when you know enough regarding the organization you have applied to and completely prepared yourself, the meeting should not be a challenging aspect of the process. Here are several of the most frequent questions asked in interviews and the best ways to reply to them. This is a difficult question in disguise. Interviewers are usually interested in answers that highlight your capabilities and character traits. So the secret is to line-up your answer using the job outline. 5. Precisely why should we hire you? Again this question will need a pitch providing an answer that may incorporate the answer from the 1st question (tell me about yourself) plus the second (what are your strengths). Some employment experts say that the time you set about a new role you should begin planning for one’s next job. And you know what? You ought to make sure you remain focused enough at the work you were hired for that you become successful and excel in that particular position before hunting for an additional one. Promotions are not confirmed. It was before that worker progressed along definite career routes throughout their jobs, but the effect of technology, globalization, and more shapely company frameworks has changed that paradigm. Today, employees have to develop and maintain their career paths — by using one or multiple companies. 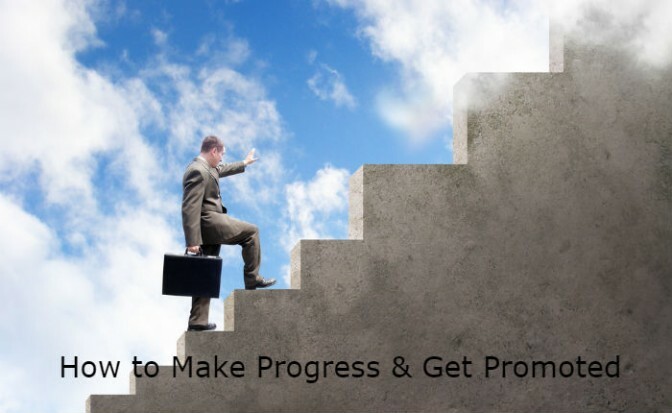 Don’t forget that a promotion is not always an upward path. 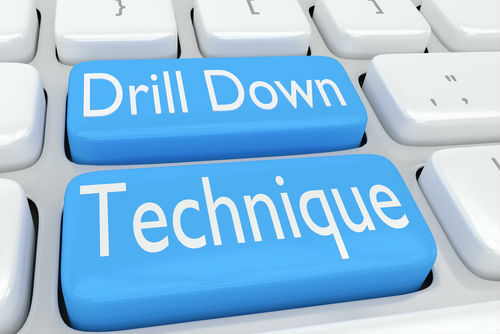 At times — especially in present-day business conditions — you might need to make a lateral move to place yourself to get a later upward move. 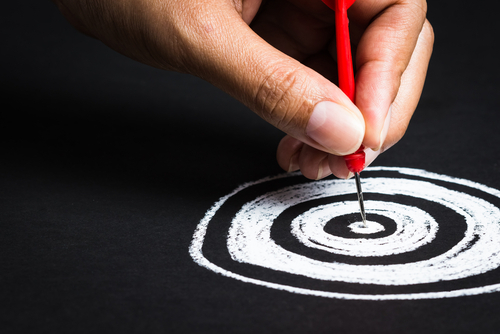 How do you develop your promotion strategy? Integrate these 10 strategies in your promotion plan. A recent study discovered that in four-fifth of promotions, those who got promotions enjoyed a mentoring relationship with individuals higher inside the organization who helped spread a good word about them. Various firms provide official guidance programs, however just because your company doesn’t, there are nonetheless methods for you to build relationships with people in higher positions in the organization. Mentors can be great means for information and career guidance. Although promotions may not be always dependent on the past results, it’s possible to undeniably make a much better case to get a promotion by showing more information regarding your past successes. Those who get results get ahead. Make a report of everything you do which boosts the organization’s bottom line, that puts the firm or your section in a good light, that is creative and innovative, and that displays your loyalty and engagement to the company. We’re told by our families that being humble is a virtue, however with job hunting, if no one knows how great you’re, you merely will never succeed. In case you have had significant accomplishments or created new or award-winning programs, ensure people know about them — especially individuals doing the promoting. 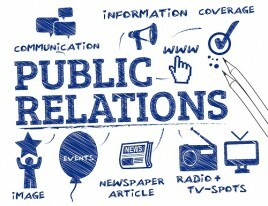 Promote yourself — and let it be known that you’re pursuing a promotion. A person we know sends a recurring email to the boss and the boss’s boss to keep them up to date on his advancements on numerous projects — and to talk about any successes and awards that occurred in the preceding month. It may aid to think of your boss as one of those security guards between countries. 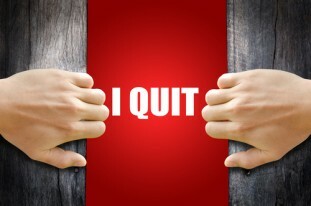 He or she can be either raising the gate and waving you forward and upward to your new position within the company, or he/she can be keeping the gate down and stopping you from any mobility within the company. Utilize all opportunities to make your manager an important advocate of your promotion. Use expert adjustments to seek counsel and focus on your focus in remaining with the company. Use performance appraisals not merely to go over your successes, but to talk with the boss in regards to likely hurdles to a promotion — and tips on how to overcome those hurdles. Some professionals also suggest developing a rapport with your boss by finding out more about his or her outside interests and passions — and after that talking about them during seminars, events, or other informal tasks. Needless to say that among the best ways to succeed obtaining a promotion is to expand your insights and skills sets in aspects which are vital to the company. As technologies and other environmental factors change rapidly, you need an ever-increasing skill set not solely limited to perform your job, but to remain marketable. 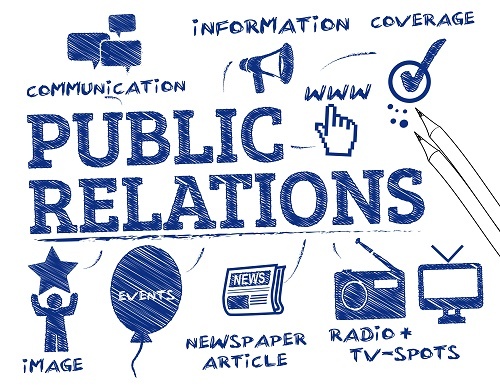 Industry experts also recommend that staff members who wish to succeed should not only keep up-to-date with market news and events but to also consider to trends and happenings outside their specialization. The more people know you, the more know about your strengths and abilities, know your value to the organization, and know (at least some of) your ambitions, the more likely that your name will be discussed when positions arise. An added benefit of networking is that you will understand a lot more about the firm if you network with individuals in other areas of the organization. Volunteering to help out other departments or groups — or just requesting for more assignments — enhances your value within the company. Requesting more work demonstrates your fascination and desire to help your department and firm to succeed — and also putting the limelight on your worth to the organization. 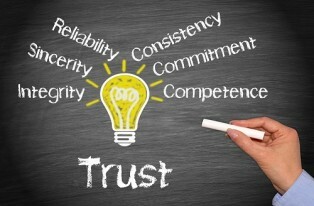 Earn a reputation for being reliable, professional, and cooperative. Dress up professionally and neatly — even on business casual days. Ask questions if you aren’t certain how to do something. 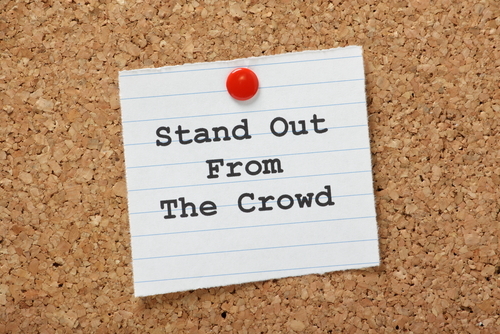 Dare to become unique — make yourself stand out from the crowd. 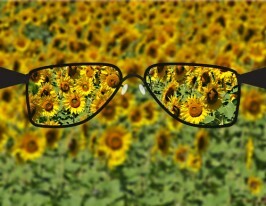 Carry a positive perspective on things, even in difficult circumstances. Don’t whine – or find fault with other people — when things do not go your way. Make a brand for yourself in the sector through conferences, write-ups, speeches. Do not be a clock-watcher. Lastly, be a problem-solver. Do not visit your boss with problems. If a difficult circumstance arises, be sure to come up with more than one solution prior to looking for your boss’s boon for toiling with the situation. Problem solvers obtain promotions. Complainers who wish the boss to resolve all their problems do not get promoted. Mainly because a lot of work is now achieved through groups — department or cross-functional — it gets even more important to express successes with your team and to eliminate pointing your finger when there are failures. And also by being a team player, you just build your standing and improve your importance to the organization. After understanding the requirements and problems of the organizations, if you see a place that’s been ignored — and you have key skills in that area – put together a proposal for a new position. Even if the company does not go for the new position, you’ve once again shown your initiative, creativity, and value to the company — and these points can benefit you next time you request for a promotion. 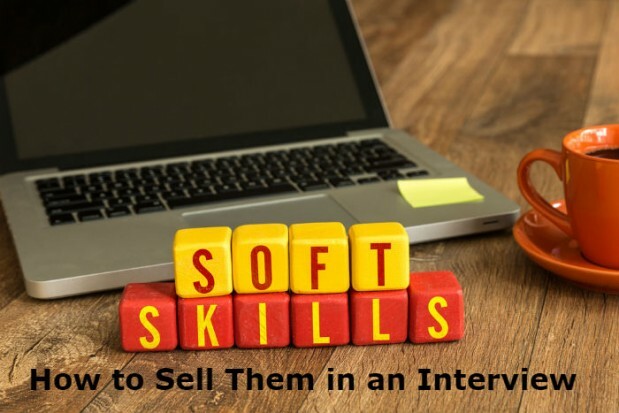 Soft Skills – How to sell them in an Interview? You’ve the technical expertise and experience for the position – but do you possess the soft skills that businesses are looking for? ‘Many applicants see hard skills as appropriate and soft skills as ‘good to have’ or less important. The contradiction, obviously, is that many most difficult tasks are accomplished by using well-crafted soft skills like convincing, guiding and negotiating’ we at JRG Partners are firm believers of this thought and clearly understand the importance of soft skills. Although one may not give much thought to one’s soft skills, businesses value these more higher than we may realize. ‘With many sectors experiencing skills shortages, most organizations are ready to coach individuals for the technical skills they desire – but they cannot ‘teach’ soft skills since these are produced through experience,’ says Emma Sue Prince, author of The Advantage: The 7 Soft Skills You Need to Stay One Step Ahead. Exactly how do you persuade an employer that you’ve the soft skills they might be looking for? It’s not enough to simply label yourself hardworking, passionate or a good team player on your CV, which is what every candidate does. ‘It’s the way you write about your soft skills within your CV that’ll distinguish you from other people,’ says Emma Sue. 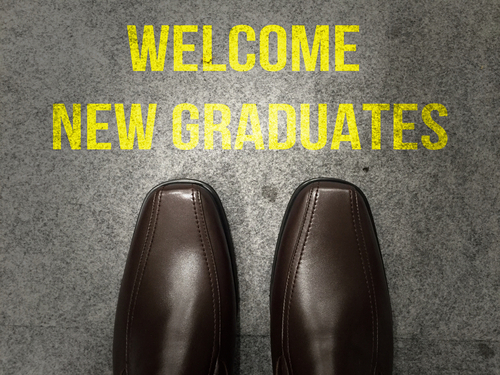 However what if you’re a new graduate with minimal work experience? Most young individuals have tons of effective soft skills but they need to package them better. That can only happen if your resume is tailored to the position and portrays what makes you tick. That doesn’t indicate divulging your life history! Make your cv to a couple of pages essentially. Let’s say you’re struggling to get accounts that reveal your soft skills in action? ‘Look for those instances when you say “things just happened … all of it came together right at the last minute”, indicates John. ‘Who made it come together? Whether it was you, how did you get it done? The clue for any skill that has value is the fact that things changed as a result of your participation. ‘Ask someone who watched the event what it was you did, then, consider how you can repose on that experience. Make smarter connections in between the skills you employ outside work and whatever you do best 9-5. Emma Sue in addition emphases the benefits of building confidence. Every little thing, from how you dress up and walk into the room to how you shake the interviewer’s hands, will tell them relating to your soft skills, she says. ‘Standing in a posture of self esteem, even when we do not feel confident, affects androgenic hormone or testosterone and cortisol amounts in the human brain and impacts the way we come across,’ she explains. During the interview you should constantly be looking for possibilities to tell your story. To do that, you need to “listen really, really well”, claims Emma Sue. ‘the majority of us don’t listen effectively because we’re anxious. Cope with nerves first by making use of confidence-building and relaxation methods and investigating the role and firm. 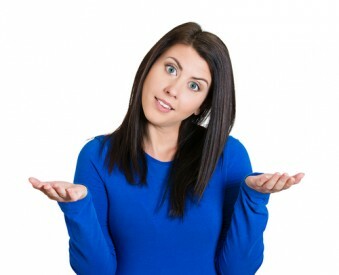 ‘Then, for instance, if your interviewer questions you, “How will you define leadership?” instead of “let me know concerning an occasion you exhibited leadership?” you can easily begin by creating a common statement that answers the query and then launch into your story regardless of whether there’s an invite to tell it. Master the skill of storytelling following the STAR layout – Situation, Task, Action and Results. 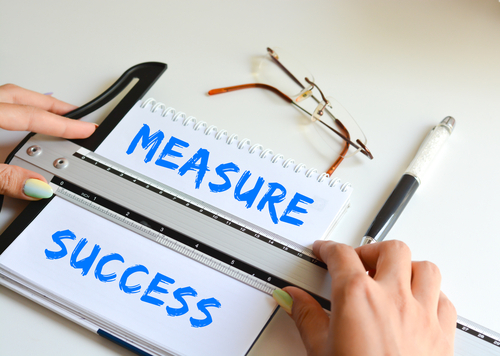 ‘Give a summary of the situation and the task in a minute or less, what measures you took to address the concerns, and then quantify and qualify the outcomes you achieved by using your soft skills,’ clarifies Emma Sue. ‘When organizing for a job interview, therefore, get these stories well prepared and pick those that highlight numerous soft skills – being an effective team player, for example, means balancing cooperation with initiative and leadership in some cases too. Finally, employers want people who happen to be adaptable and can deal with uncertainty. When they ask or toss a curve ball question to you, you will need to think on your feet. ‘Be passionate and positive regardless of what question comes your way. Positive people are the ones that will get ahead as opposed to simply manage,’ states Emma Sue. High achievers are often thought as the luckiest people who achieve whatever they think about. Life offers them the best of the best opportunities which they grab and outshine. These people make their mark while others are just struggling through their career. This lucky charm or success whatever others might call it is careering momentum; a consequence of consistency, defined goals and persistent hard work in their achievement, last but not the least strong relationships developed with people through healthy communication. Nothing can replace hard work not even luck, and this hard work is the secret ingredient of creating career momentum. Many average people flourish and make progress by leaps and bounds within a matter of years after beginning their career while many sharp and intelligent ones lose the game, so what’s behind such success and failure? No wondering, it is the career momentum. But how can this career momentum be boosted? Identifying and sharing goals is a dynamic process. Now and then you have to set objectives for yourself. Realizing; what success is? How far you want to go? Skills you want to learn? How do you see yourself in the next five years? Ten years? It should not take a fortune for you to realize that you are a misfit for the place you are in. 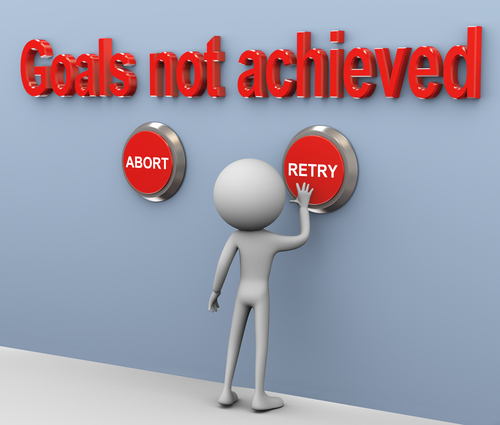 This situation can be avoided if goals are reviewed and amended on a short-term basis. The current company might be offering all you need let it be regarding salary, a calm, healthy work environment; colleagues that are helpful and understanding but let me tell you here comes the time of making a critical decision. Whether to move on and achieve the targets you have settled or sacrifice your progress for comforts. Understand this little but important fact that the world is an ever changing industry full of competition where only the fittest survive. So to make your mark you have to acquire new talents and for that, you have to move ahead. Comforts and perfect working environment always follow if you are ahead of others and continually making progress. Want to succeed in career? Don’t forget people who have helped you reach the position you are at now. Value your colleagues who have always been supportive, teachers and recruiters who taught you life-changing lessons. Stay in touch with them; let them know of your goals. Share your ideas and ambitions this not only creates a circle of supportive critiques but also makes impossible tasks possible to achieve. Be open to new challenges and accept opportunities that might help you flourish without hesitating. Is your company launching a new franchise and needs somebody to supervise? A new candidate is required for a position at your department? Your firm requires volunteers to represent them abroad? Be the first in line to accept the challenge and see how miracles happen. Be a learner at all stages of your life. Taking appropriate decisions at the right time will foster professional development. Look at yourself and become aware of your surroundings, utilize social networking sites, follow those people who are at the lead, read about them, learn from them. Try to understand the industry, read their publications and try contributing to discussions. All these techniques demand consistency and commitment. Once you decide your destination, start searching for every path that leads you to it. In a matter of short time, you will see the gifts offered to you by your open-mindedness, eagerness, and commitment. Let’s keep it simple; do you struggle a lot to achieve your goals? Well, the answer is in affirmative. We all have to struggle once we define some goal. No matter how big or small the goal may be, the element of struggle is always there. So what exactly do we demand when we set up a goal; success, satisfaction, and stability, right? Whenever we plan things we always plan them with a positive perspective thinking of a win: win situation. If we plan so well then, why do we fail at times? Why do we lose that spark that ignites in us? Because life in itself is unpredictable; it comes in our way when we are least expecting it. Situations change abruptly, things get out of control and cause our plans to fail. Consequently, there is a loss of focus and concentration. When this happens what we do is we play the blame game. When that spark is lost, we blame it on every other thing around us including our friends, family, gadgets, busy life, financial issues and the list goes on. But in reality, we are escaping ourselves. These things have always been there so what has changed? It’s you giving up your control and giving others the power to steer your life. When you are faced with such a situation all you have to do is figure a way out to keep things in balance, minimize those external interferences and focus. Keep your mind and body healthy and balanced. A mind clouded with thoughts is always unable to focus so ,cut out the distractions; don’t let your thoughts stray away. However, staying on track is not as simple and easy as it sounds. A study conducted at the University of Hertfordshire, London showed that every year 50 % of the people decide a goal for themselves as a New Year’s resolution, but the striking thing is more than 78% of the people fail to achieve their goal, the reason being a lack of focus and concentration. So it’s very important while setting up the goals that importance of the lack of focus hampering the achievement is considered and a strategy is made accordingly. Each one of us becomes a victim of lack of focus at some stage in life so here is the good news that you are not alone; moreover, there are ways of overcoming it. Below listed are some of the techniques that can help you make it through your journey. If followed properly and consistently, you shall see a considerable improvement in your focus and a striking difference in your performance. 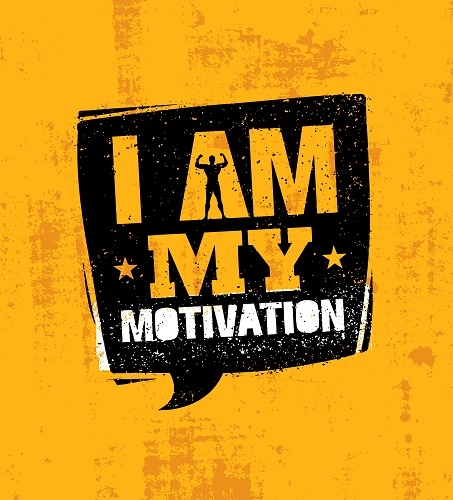 This will add to your confidence and give your motivation a boost. Prioritize: Having so many goals sounds awesome, but the truth is that you cannot focus in different dimensions at the same time, so you have to keep the list small. Achieve a few goals then move on to the rest; don’t take too much at once. 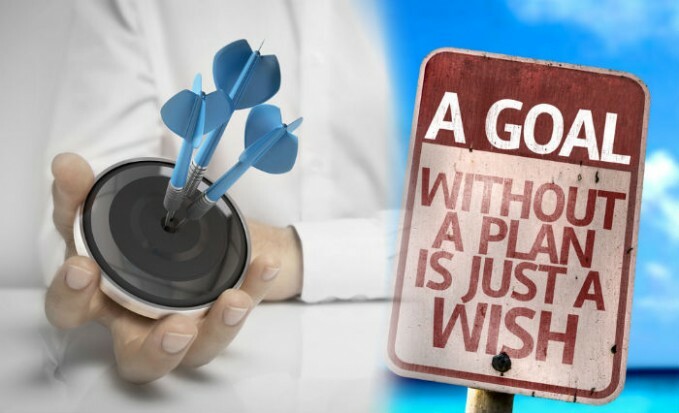 It’s better to invest your maximum potential and energy in a narrow range than to spread it in so many directions such that you end up achieving little in all the goals when you have the chance of facing each and every one of it by taking one goal at a time. Make a list of all your goals keeping the most important ones at the top. Decide a period in which you plan to complete them and follow. Remember; don’t discard the goals that are not at the top, once you complete those at the top they’ll automatically make their way up the list. In the end, you will realize that you have achieved it all. Divide and rule:Let’s imagine you have to conquer a state how do you think you would do that? Obviously by taking small steps; first conquering the cities and finally moving on. How about I ask you to build an aircraft? The foremost steps will include acquiring blueprints, gathering the materials, selecting the right tools so on and so forth. Same goes for the bigger goals you cannot achieve them at once. You will have to make smaller goals out of the bigger ones. Arrange your goals in a way that the goals first on the list are the subsets of a bigger goal so that when you achieve them you see yourself making progress at a level. Following this chain of subsets, you shall ultimately complete your bigger goal. 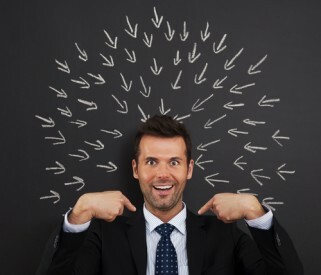 Check and balance Managers: Yes, who are they? Why do you need them? They are no aliens; rather they are your loved ones, your family your friends. They are the people you respect and value. So what is their role? They help you maintain focus and not to lose enthusiasm when faced with difficulties, failures, and stressful situations. When you brag about your achievements in front of them you get acknowledgment, and that acknowledgment gives you confidence of holding on to your dream. They celebrate your success and advise you when you need it the most. Not until your goals are personal, it’s always good to have people around who are concerned because that lets you stay focused. Keeping track of your progress: Success in achieving a goal comes with the progress that you make when you start from scratch. This makes keeping a record of your progress important so that you know how much you have achieved? How far have you to go? And is everything going by the plan or amendments is to be made? This is only possible if you develop a habit of keeping a journal for your goal. The journal has all your achievements, you feelings, your plans and target written at the same place which makes it easier for you to analyze and decide your next step. Moreover, it’s a source of excellent feedback for you. You can always go back, skim through it, make changes in plan and decide your future steps in the light of your past experiences. Feed your brain: By it, I mean feed it with the purpose of setting a particular goal. Never let your mind forget the reason you decided to do a particular thing. Let your subconscious work for you; utilize its immense power for keeping that motivation alive. The brain processes picture memory; it has nothing to do with that whole film, it works frame by frame just like a movie maker. That’s the hook! Feed it with the pictures of the purpose that made you set the goal. For that take a poster board, any electronic board even the bare wall of your room would suffice, and fill it with pictures all over. Create that environment so that when you are not thinking consciously your brain is doing the work for you at subconscious level helping you maintaining that motivation. Consistency is the key. Most people fail not because they do not have the required level of knowledge, skill or strategy to achieve a goal but because they give up on it. They stop trying. People lose the courage to get up after a failure. They give in to their fate easily, lose focus and repent later. The choice is yours to make; do you want to be among those who achieved what they dreampt of? Or those who gave up just because they surrendered to their lack of focus? At the start of every goal the enthusiasm is at its peak and one feels like taking over the world all at once but that rush soon goes away; that’s the critical time where you lose focus and take the path of those who dream, give up and then repent. 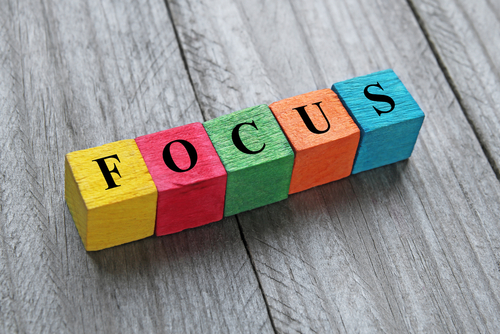 Following these simple techniques, you can help yourself through your journey staying focused.